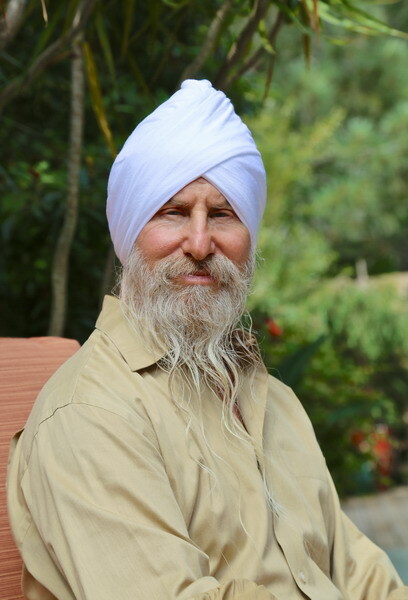 David Shannahoff-Khalsa is the Director of The Research Group for Mind-Body Dynamics at UCSD’s BioCircuits Institute, and a member of the UCSD Center for Integrative Medicine. Prior to coming to UCSD in 1994 he spent 23 years at the Salk Institute for Biological Studies in La Jolla, first working on the building blocks of the genetic code, and then pioneering novel studies in the neurosciences. He has discovered a novel step in the evolution of the nervous system that gives new insights to mind-body (psychophysiological) states and how to control these states. He has published widely in scientific journals and conducted three clinical trials using Kundalini Yoga meditation techniques for treating obsessive compulsive disorders and OC spectrum disorders, and pioneered the use of whole-head magnetoencephalography brain imaging to study these and other yogic meditation techniques. He has presented and taught Kundalini Yoga Meditation at the American Psychiatric Association Annual Meetings 11 times (including 10 full day CME courses) since 2003 for a wide range of psychiatric disorders. He has written four books that include 100+ different meditation techniques and disorder-specific protocols for all of the major psychiatric disorders. His 3 books published by W. W. Norton and Co. include: Kundalini Yoga Meditation: Techniques Specific for Psychiatric Disorders, Couples Therapy, and Personal Growth, 2006; Kundalini Yoga Meditation for Complex Psychiatric Disorders: Techniques Specific for Treating the Psychoses, Personality, and Pervasive Developmental Disorders, 2010; Sacred Therapies: The Kundalini Yoga Meditation Handbook for Mental Health, 2012. And Psychophysiological States: The Ultradian Dynamics of Mind-Body Interactions, Academic Press (Elsevier Scientific Publications), 2008. 2014 American Psychiatric Association, 66th Institute on Psychiatric Services, Full Day 6 Hour Accredited CME Course, Kundalini Yoga Meditation Techniques for Anxiety Disorders Including OCD, Depression, Attention Deficit Hyperactivity Disorder, and Posttraumatic Stress Disorder, San Francisco, California, November 1, 2014. 165th Annual Meeting, American Psychiatric Association, Full Day 6 Hour Accredited CME Course, Kundalini Yoga Meditation Techniques for Anxiety Disorders Including OCD, Depression, Attention Deficit Hyperactivity Disorder, and Posttraumatic Stress Disorder, Course 5, May, 5, 2012, Philadelphia. 165th Annual Meeting, American Psychiatric Association, Full Day 6 Hour Accredited CME Course, Kundalini Yoga Meditation Techniques for Schizophrenia, the Personality Disorders, and Autism, Course 19, May, 6, 2012, Philadelphia. 164th Annual Meeting, American Psychiatric Association, Full Day 6 Hour Accredited CME Course, Kundalini Yoga Meditation Techniques for Anxiety Disorders Including OCD, Depression, Attention Deficit Hyperactivity Disorder, and Posttraumatic Stress Disorder, May 14, 2011, Honolulu. 164th Annual Meeting, American Psychiatric Association, Full Day 6 Hour Accredited CME Course, Kundalini Yoga Meditation Techniques for Schizophrenia, the Personality Disorders, and Autism, May 15, 2011, Honolulu. 163rd Annual Meeting, American Psychiatric Association, Full Day 6 Hour Accredited CME Course, Kundalini Yoga Meditation Techniques for Anxiety Disorders Including OCD, Depression, Attention Deficit Hyperactivity Disorder, and Posttraumatic Stress Disorder, May 25, 2010, New Orleans. 163rd Annual Meeting, American Psychiatric Association, Full Day 6 Hour Accredited CME Course, Kundalini Yoga Meditation Techniques for Schizophrenia, the Personality Disorders, and Autism, May 26, 2010, New Orleans. 161st Annual Meeting, American Psychiatric Association, Full Day 6 Hour Accredited CME Course, Kundalini Yoga Meditation Techniques for Psychiatric Disorders, May 3, 2008, Washington, DC. 160th Annual Meeting, American Psychiatric Association, Full Day 6 Hour Accredited CME Course, Kundalini Yoga Meditation Techniques for Mental Health, May 20, 2007, San Diego, California. 159th Annual Meeting, American Psychiatric Association, Full Day 6 Hour Accredited CME Course, Kundalini Yoga Meditation Techniques for Mental Health, May 21, 2006, Toronto, Ontario, Canada. 158th Annual Meeting, American Psychiatric Association, Full Day 6 Hour Accredited CME Course, Kundalini Yoga Meditation Techniques for Psychiatric Disorders, May 22, 2005, Atlanta, Georgia. 156th Annual Meeting, American Psychiatric Association, OCD Symposium on New Research and Current Strategies for the Treatment of Obsessive Compulsive Disorder, Kundalini Yoga Meditation for the Treatment of OCD, May 21, 2003, San Francisco, CA. To view or download David S. Shannahoff-Khalsa’s complete curriculum vitae, please click here.